1. Present the public your new item. Whether this is a service or a product, you should let your customers know of the new additions. Use photos and graphics that will show your the new product like the new shiny object that it is. 2. Be consistent with your branding. Remember to use mention your brand, show your logo, and keep your colors consistently throughout the entire document. 3. Share the news. Did your company go public? Did you change executives? Did you move locations? Use a press release as the company's newspaper. Let your clients know what's been going on behind the scenes. 5. Make it available online. And share it on every social media platform, use hashtags and become a trend fast by tagging important brands in your field. 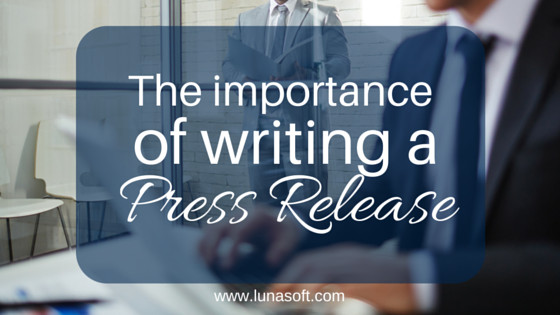 Is your business publishing a press release? What do you make sure to add every time?